The 2014 New York Auto Show is here and Mini has brought with it the new 2015 Countryman. 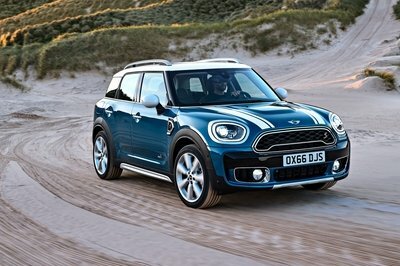 It’s safe to say that the Countryman has come a long way since being introduced to the U.S. in the 2011 model year, even establishing a following of its own that’s unique to all other variants of the Cooper. Being a five-door model was probably a big advantage for those who sought a bigger Cooper. It was also the first all-wheel drive Mini, which made it ideal as one of the few Coopers that can hit the beaten path when called upon. The 2015 Countryman doesn’t offer a lot of changes that will blow you away. But the success of the Countryman as a unique model should make the 2015 model another popular seller. If anything, the minor cosmetic tweaks can be described as a bonus relative to what the whole package is offering. Click past the jump to read more about the 2015 Mini Countryman. It appears as if the horizontal chrome bar and the new grille insert are the two biggest changes. The four-door Mini Countryman is a treat of a car, isn’t it? You might even call it a compact SUV, even if its dimensions might suggest differently. For the 2015 model year, Mini brings back the Countryman with a handful of changes, although you’d be hard-pressed to find them if you line up one of these new cats with a prior model. Up front, the hexagonal radiator grille gets a new design, or at least that’s what Mini says. It appears as if the horizontal chrome bar and the new grille insert are the two biggest changes. Likewise, visual underride guard elements for the front and rear apron and side sills are now standard, which should bode well for the MINI ALL4 all-wheel-drive system. New LED fog lights, daytime driving and parking lights are also part of the 2015 Countryman, as are other available features, including xenon headlamps and adaptive turning light, comfort access, panorama glass roof, automatic air conditioning, removable tow hitch with trailer load of up to 1,200 kilograms (2,645 pounds). 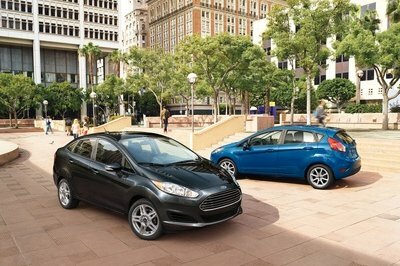 You can also avail new alloy wheels that are lighter than ever, improving your car’s aerodynamic tendencies. Additional customization treats, like contrast colors on the roof and the exterior mirror caps, allow you to get creative on what the final look of your Countryman is going to be. You’re gonna have to pay a premium for it, but it at least makes for a unique looking Mini. All that and the Countryman still looks rather similar to last year’s model, doesn’t it? Same as the exterior, the interior of the 2015 Countryman doesn’t look too different. One thing you might notice though is how the Countryman’s central speedometer is still where it is in the middle of the dashboard. It’s interesting because the new-generation Cooper moved it to the more-traditional location behind the steering wheel. The 2015 Countryman is also packed with in-car technology, including the standard Mission Control, Dynamic Music, Driving Excitement and MINIMALISM Analyser. A Harman Kardon h-ifi speaker system and model-specific John Cooper Works accessories can also be added as optional equipment, and necessary ones in our opinion if you want to make the most of the Countryman’s interior experience. As always, the Countryman’s cabin is rather versatile, as its cargo capacity grows from 17.5 to as much as 42.2 cubic feet by sliding and folding the rear seats in several different configurations. Additionally, the rear seats also have five inches of fore and aft travel, so you can increase cargo room without losing any seating capacity. 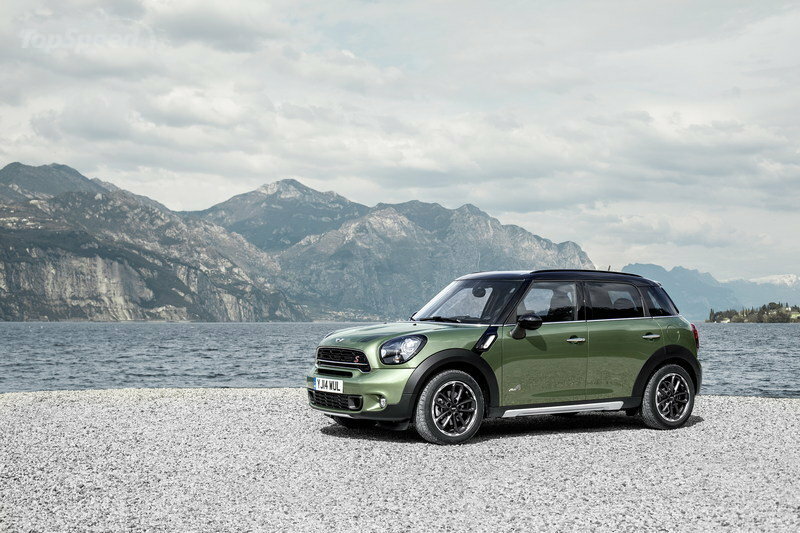 The 2015 Countryman will be powered by a base 1.6-liter turbo engine that produces 208 horsepower while mated to a six-speed manual transmission. This allows the car to break 60 mph in just 7.5 seconds to go with a top speed of 135 mph. Mini has yet to release pricing details for the 2015 Countryman. 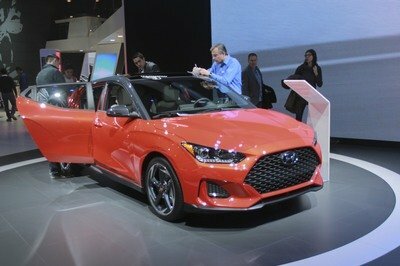 But with the changes made to it, or lack of noticeable ones at that, we’re looking at a price that shouldn’t be far from the $26,000 you need to pay for the base model. Or you can opt for the Countryman JCW, but that’s going to set you back somewhere in the $35,000 range. The expansion of the Fiat lineup is coinciding with that of Mini, so it’s no surprise that the biggest competition the Countryman is the Fiat 500L. As the resident big boy 500, the 500L makes a compelling case as a five-door crossover because it pretty much fits in the same design architecture of the Countryman. 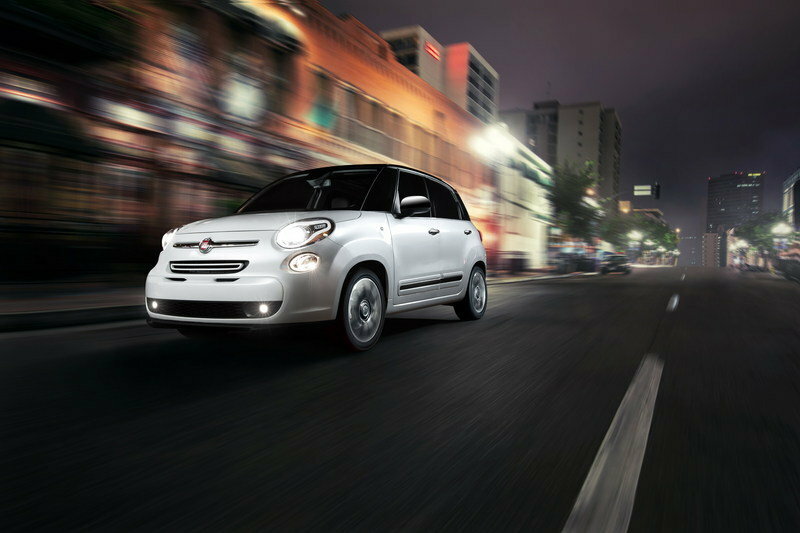 The "cab forward" design approach of the 500L not only helps improve the driver’s visibility, but it also gives the crossover a unique character compared to the 500. Power still favors the Countryman, thanks to its myriad of engine options compared to just one for the 500L. That one is a 1.4-liter MultiAir Turbo four-cylinder engine that delivers a total of 160 horsepower and 184 pound-feet of torque. The 500L also has the advantage of being markedly cheaper than the Countryman with a base price of just $19,100 for the 500L Pop. That figure goes all the way up to $24,195 for the 500L Lounge. 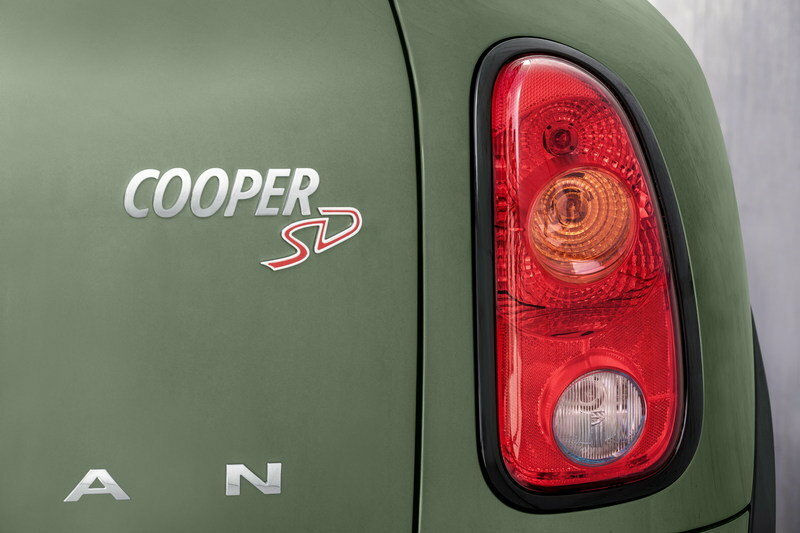 Since it was introduced in 2010, the Countryman has always had something unique to offer to customers compared to the rest of the Cooper lineup. Its size, versatility, and all-wheel-drive capabilities are huge attributes, plus it’s got some decent power under its hood for its class. Overall, the question about purchasing the Countryman is its price. It’s got a reasonable tag and if you have the money for it, you shouldn’t have trouble getting one. Just make sure that you choose the Jungle Green metallic finish. 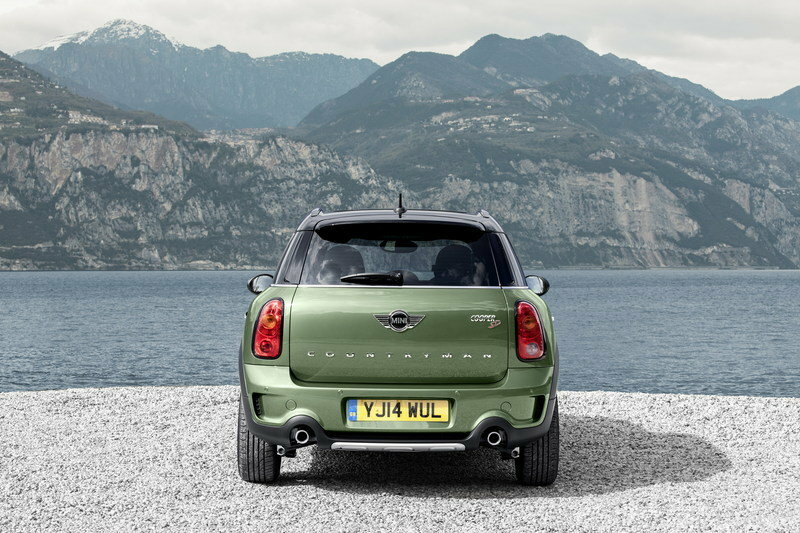 The model year 2015 MINI Countryman has pursued its path to success both on and off-road. 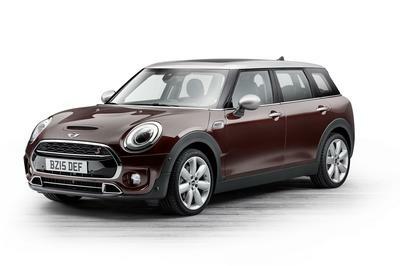 The first MINI with four doors, a large tailgate, five seats and optional all-wheel drive now gives an additional boost to the brand’s advance into the premium compact segment. 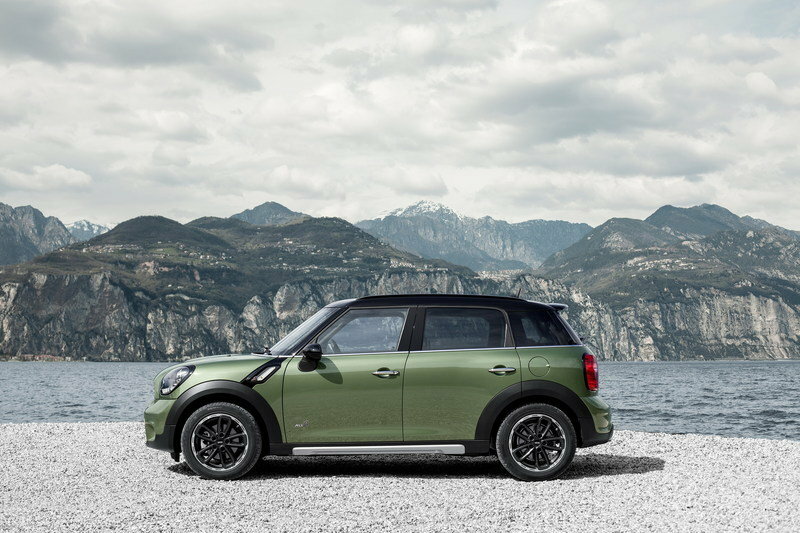 Selective design modifications for the exterior and interior, as well as innovative equipment features contribute to the more mature charisma and increased appeal of the new MINI Countryman. This gives it a more pronounced profile as an all-round talent for versatile mobility and an active lifestyle, both in city traffic and beyond. With striking body design accents, refined premium characteristics in the interior and extensive safety features, the new MINI Countryman specifically emphasises all the strengths that account for its exceptional standing within the competitive field. Built at Magna Steyr in Graz, Austria, the MINI Countryman is now an important pillar of growth for MINI with 350,000 units already sold worldwide. MINI USA sold over 62,000 units since the launch in 2010 and the model represents about 30% of the MINI USA sales volume. 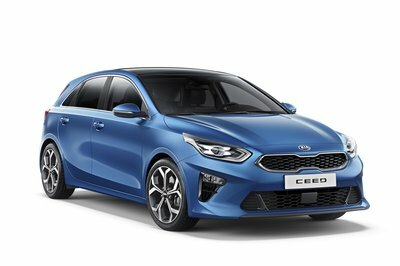 The compact model has everything it takes to attract new target groups to the characteristic motoring fun and distinctive style of the premium British brand. The all-wheel drive system ALL4 specially developed for MINI continues to be available for the MINI Cooper S Countryman. It comes as standard with the MINI John Cooper Works Countryman. The top athlete of the model family also lines up for the start to coincide with the market launch of the new MINI Countryman in summer 2014. Exterior: striking accentuations for enhanced presence and distinctive style. 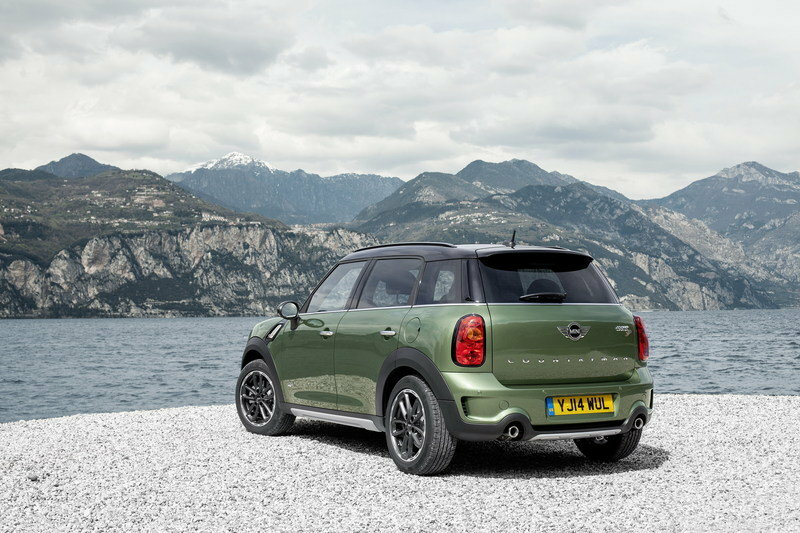 The distinctive appearance of the MINI Countryman derives from its dimensions, four doors, large tailgate and specific roof shape as well as an individual interpretation of the brand’s hallmark proportions and design features. In the new MINI Countryman, both model-specific and hallmark brand elements are given additional emphasis. The upright front section instantly conveys a powerful presence, while a newly designed structure for the characteristic hexagonal radiator grill now further underscores this impression. A horizontal radiator grill rib finished in chrome in the new MINI Cooper S Countryman along with a curved "S" in red now help give the front view a clear, purist expression to ensure instant recognition. The front section of the new MINI John Cooper Works Countryman features a red radiator grill rib supplemented with the John Cooper Works logo. On the Cooper variant the radiator grill is now subdivided by two ribs and is finished in matte silver. 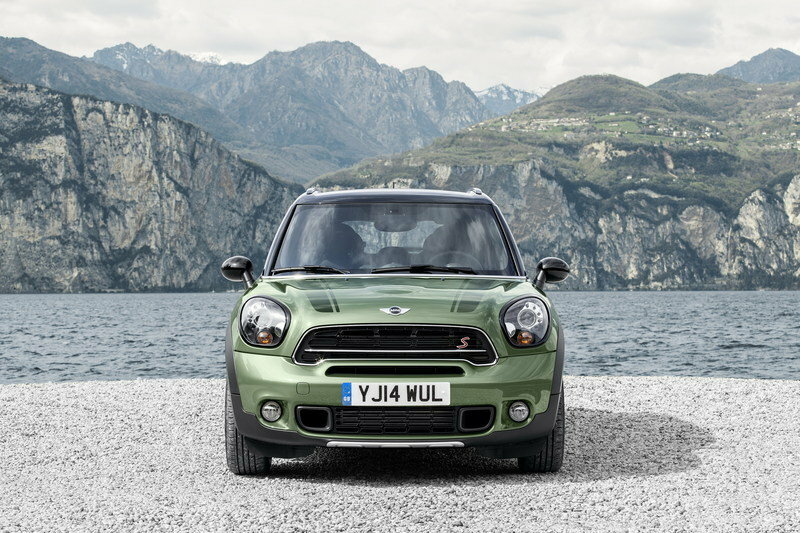 The robust yet versatile character of the new MINI Countryman is also given intense emphasis. In conjunction with the all-wheel drive system ALL4, all visual underride guard elements for the front and rear apron as well as for the side sill area are now included as standard (exception: MINI John Cooper Works Countryman). These focus more strikingly on the ground clearance of the MINI Countryman, indicating its potential for driving fun away from paved roads. They are also optionally available for front-wheel drive models. 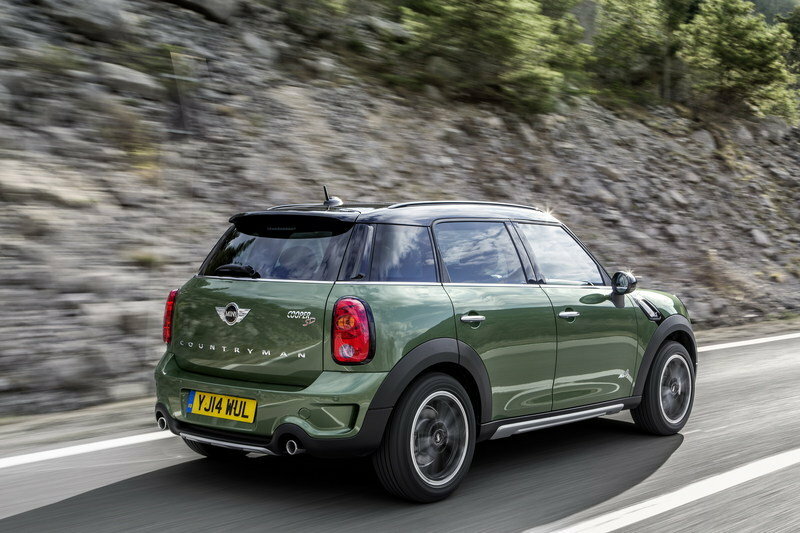 The range of exterior paint finishes has been expanded with the addition of Jungle Green metallic and Midnight Grey metallic, and Starlight Blue metallic paint is now available on the MINI Countryman for the first time. A contrasting paint finish for the roof and exterior mirror caps in black or white is available on request and at no extra charge for all model variants. A contrasting paint finish in red is likewise offered free of charge exclusively for the new MINI John Cooper Works Countryman. There are also Sport Stripes and bonnet stripes in a variety of colors to choose from. Another customization option available for MINI for the first time is the new Piano Black Exterior. It comprises a paint finish in high-gloss black for selected surfaces, thereby providing novel emphasis not only for the car’s characteristic features but also for the proportions of the MINI Countryman. In addition to the surrounds of the headlamps and rear lights finished in chrome as standard, a high-end dark shading is applied to the diagonal links between the A columns and front wheel arches, the roof rails and the cross-ribs in the radiator grill of the MINI Cooper Countryman. New alloy wheels with reduced weight, LED fog lights. Adaptations to the wheel rim program contribute to increased agility in the new MINI Countryman. The 17-inch light alloy wheels in the new 5-Star Triangle Spoke Design for the MINI Cooper and Cooper S Countryman are lighter than their predecessors and give this compact SAV a rugged look. They are also optionally available in a two-color design. Another new addition are the LED fog lights with parking and daytime driving lights in LED - available as an optional extra for the first time (standard for Cooper S and John Cooper Works models). They provide an intense, bright white light with a much higher level of energy efficiency than conventional headlamps. The structure of their light sources in full LED technology also helps make the front view of the new MINI Countryman striking and instantly recognizable. This light can be used to improve visibility in fog and is generated by three LED units arranged horizontally at the centre of the cluster, radiated across the entire surface of the headlamp. The daytime driving light takes the form of a luminous ring fed by 15 LED units. When the parking lights are switched on, only five LED units are active in the upper third of the ring. Interior with optimized acoustic comfort and refined premium characteristics. In the interior of the MINI Countryman, characteristic brand design features are combined with a highly versatile interior space. The premium compact model offers five seats as standard along with the MINI Center Rail attachment system fitted between the driver and front passenger seat. The MINI Countryman offers a comfortable ride not only on rough terrain but also over longer distances. Meanwhile expansion of the luggage compartment from approximately 17.5 to as much as 42.2 cubic feet provides space for luggage, bulkier sports equipment or any other items that may be required for leisure activities. To this end the rear seats can be shifted longitudinally by up to five inches, either together or in a 40 : 60 split. It is also possible to adjust the tilt of the seats, and the rear backrests can be folded down in a 40 : 20 : 40 split. Another factor that helps provide a pleasant driving and travel experience in the new MINI Countryman is its acoustic comfort, which has also been further enhanced. The displays and controls have been redesigned so as to enhance the car’s sporty flair and premium character. All model variants of the new MINI Countryman now have anthracite-colored dials for the engine speed and road speed display in the style of the MINI John Cooper Works Countryman, whose central instrument now also bears the John Cooper Works logo. The standard trim of the new MINI Countryman also includes chrome applications for the ventilation controls. ALL4 all-wheel drive for increased driving fun and maximum traction. 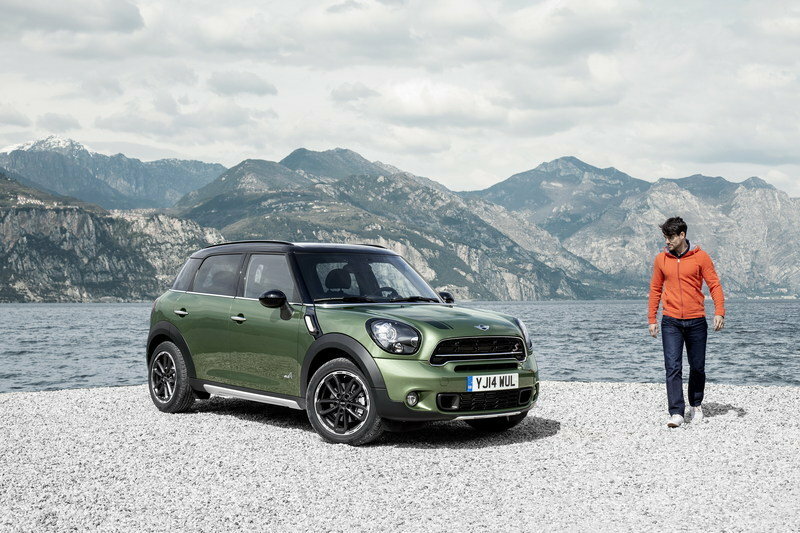 The all-wheel drive system ALL4 specially developed for MINI is optionally available as an alternative to the brand’s characteristic front-wheel drive for the MINI Cooper S Countryman. The system is based on an electromagnetic center differential and distributes drive force at continuously variable levels between the front and rear axle. The ALL4 electronic management system integrated directly in the DSC unit enables power transmission to be altered as required, responding within milliseconds. All-wheel drive comes as standard with the MINI John Cooper Works Countryman. In this way, the supreme power of its 208 hp turbo engine is transferred to all four wheels so as to ensure maximum traction, ride stability and sporty flair on bends at all time. All engines are combined with a 6-speed manual transmission as standard. An optional 6-gear automatic transmission is available for all model variants. Shift paddles for manual selection of drive position are standard for Cooper S and John Cooper Works models. All models come standard with a Sport Button which allows more direct steering and accelerator response. In conjunction with the automatic transmission, pressing the Sport Button also results in changes to the shift points. In the new MINI Cooper S Countryman this also triggers a particularly striking, sporty engine sound. Extensive safety features, tire pressure control and daytime driving lights standard. The integrated safety concept of the MINI Countryman guarantees outstanding occupant protection. Its extensive standard features in the area of active and passive safety led to a Top Safety Pick reward by the Insurance Institute for Highway Safety (IIHS) for the past three years (2011-2013) and is expected to perform well in 2014 testing. The standard trim of the MINI Countryman also includes daytime driving lights and tire pressure control. Constant measurement of pressure on each individual tire means that the driver is given an early warning of potential loss in each tire. High-quality equipment, innovative MINI Connected in-car infotainment. The remaining standard equipment of the new MINI Countryman is also at a high level, including a multifunction steering wheel with cruise control, automatic climate control, rain sensor, MINI Center Rail between the front seats and a high-end radio system comprising CD player with MP3 capability, USB port and five speakers. In addition there is a model-specific range of special equipment and accessories to choose from. The high-quality options include xenon headlamps and adaptive turning light, comfort access, panorama glass roof, Park Distance Control (PDC), MINI navigation system, voice control, Harman Kardon hi-fi speaker system and model-specific John Cooper Works accessories. 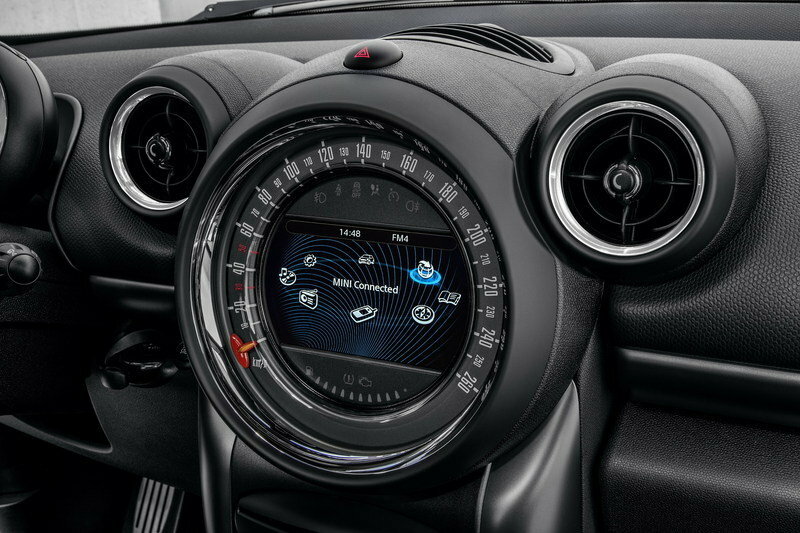 Another special highlight within the segment of the new MINI Countryman is the wide range of MINI Connected functions for use in conjunction with Radio MINI Visual Boost and the MINI navigation system. It offers extensive integration of smartphones in the car, allowing the use of internet-based services in the areas of infotainment, communication and driver experience. These are provided via apps whose functional diversity is being continuously expanded. There are vehicle-related functions such as Mission Control, Dynamic Music, Driving Excitement and MINIMALISM Analyzer as well as various online-based services. Current functions available include web radio, the use of social networks such as Facebook, Twitter, foursquare and Glympse, RSS news feed reception and entertainment programs such as Pandora, Stitcher, Audible, Rhapsody and TuneIn. Operation is intuitive and reflects hallmark MINI style by means of a joystick in the center console and the on-board computer in the central instrument.